The expected in-stock date is Thursday, June 13. Food always tastes better with a delicious sauce to accompany it. Now, three of our savory sauces are available bundled together so you don't have to choose just one! This condiment flight features one each of spicy Horseradish Sauce, bold Chipotle Ranch Sauce, and tangy Sweet & Sour Sauce. 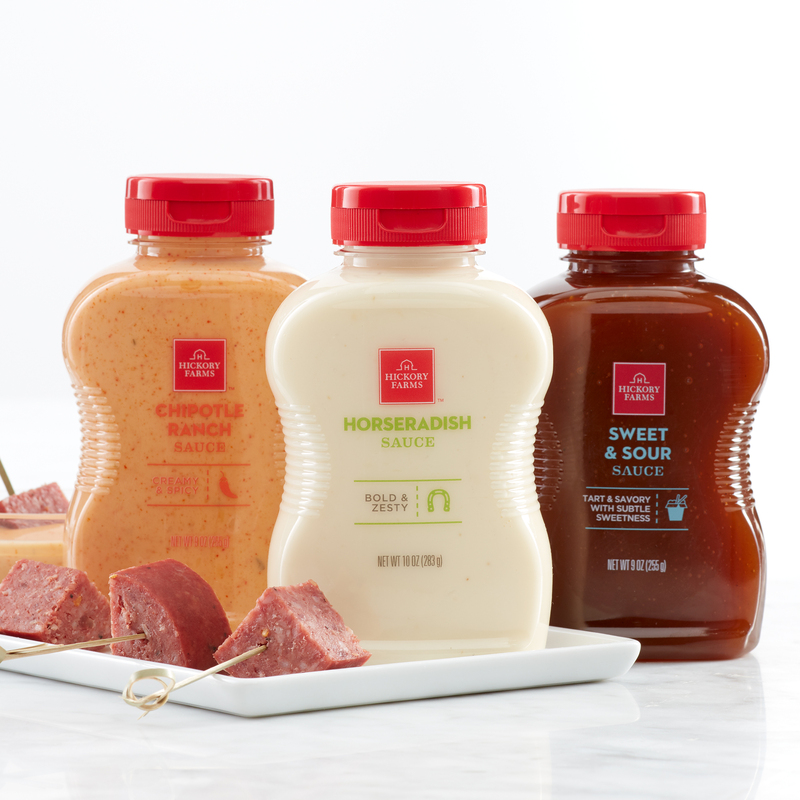 These sauces make great additions to sandwiches, meats, and of course, Hickory Farms cheese and sausage!